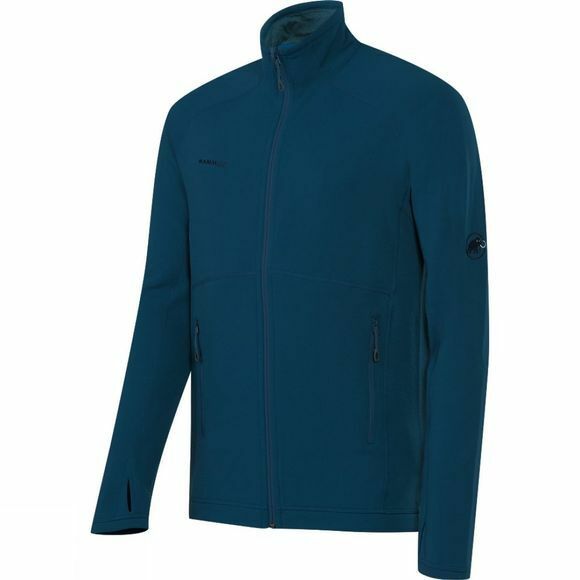 The Men's Trovat Pro ML Jacket from Mammut is a warm and comfortable, lightweight insulation piece for outdoor activities in cool to cold conditions. The polyester face fabric is highly durable and easy to layer with while the wool content of the lining is supersoft next to the skin and boasts excellent insulation. The full length zip has a zip garage at the top so as not to irritate your chin and integrated thumb loops offer easy layering and a little extra warmth for your hands. Flatlock seams help reduce the bulk and are durable while two zipped hand pockets are great for keeping hands warm or stashing your essentials. A great option for keeping warm during outdoor activities and smart enough for enjoying mulled wine at the local Christmas markets.